With my Blu-Ray review of the Star Wars: Complete Saga set only a few days from completion, we’re nearing the end of Star Wars Month – and that means today sees the release of the third and final Star Wars-themed Monthly Ten Podcast. Two weeks ago, we discussed our favorite characters, last week we talked about how the prequels could have been improved, and this week, we tackle a number of topics, including Bonus Features on the Blu-Ray set, the best and worst parts of the Special Editions, and ranking the six movies from best-to-worst. Remember to subscribe to the podcast on iTunes, and if you already have, it should automatically download on your ‘podcasts’ page when you open the program. If you haven’t subscribed yet, it’s easy, free, and can be done at any time! Or…. We had so much fun this month, and while I think it will be a while before you hear another three-podcast month, Sean and I are overjoyed to have had this opportunity to express our love for Star Wars. 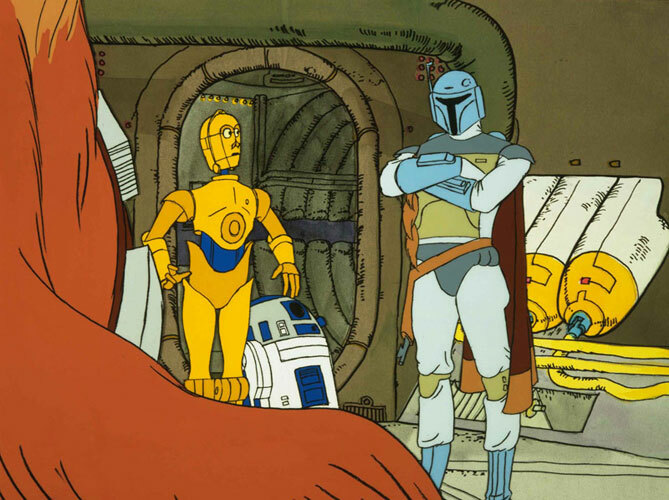 This final part was especially amusing, as we got to share our incredulity over a Boba Fett cartoon, continue discussing the worst aspects of the prequels, and gush over the original trilogy.